Mafia LXXV The Legend of Zelda: The Mafia Maracas. Madam MeowMeow's BowWow Hunt. Topic: Mafia LXXV The Legend of Zelda: The Mafia Maracas. Madam MeowMeow's BowWow Hunt. Hello dearies and welcome to my humble abode. I live here with my precious little BowWow. He's such a good boy. Unfortunately, he does get upset sometimes because we live in such a remote area and I'm not able to play with him as much as he'd like. I know he'd just love it if someone could stop by to play with him when I'm busy. His favorite game is hide and seek. He's always going into the tall grass in our backyard to hide and make me chase after him. Unfortunately, the only way to find him is to pretty much cut away the grass and I don't want to hack away all that lovely foliage. If you hack away at my lawn, I'm afraid I'm going to have to charge 10 rupees for every square you expose in order to buy new grass and replace it. However, if you find anything in the grass, I'll let you keep it. I clearly don't need it. As an incentive to play, I'll give you a prize if you can find my clever little BowWow's hiding spot. Come by anytime you feel like playing. BowWow will be ready and waiting for you. Players will send Madam MeowMeow a pm about which part of the yard they would like to cut the grass/bush of, such as A1 or C5, for example. Each selection costs a player 10 rupees. A player can make up to 5 selections every 2 hours. So, if a player makes a choice at 6:00 PM, 6:15 PM, 6:30 PM, 6:45 PM and 7:30 PM then they cannot make another choice until 8:00 PM which is 2 hours from their first choice. If they make another choice at 8:00 PM then they can not make another choice until 8:15 PM which is 2 hours from their second choice. You get it. 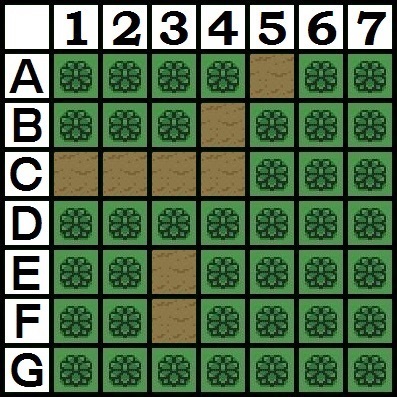 This is to keep any player from quickly grabbing all spots and to give everyone a chance to try their luck if they want to. 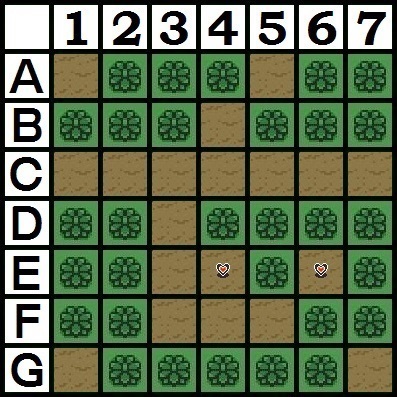 Players can keep guessing as much as they want until there are no more squares left to select and the whole yard is exposed or they've run out of rupees. Each game day the yard will reset as Madam BowWow replants it during the night. The things she does for her BowWow's enjoyment.... The reset occurs even if the yard isn't completely exposed or BowWow hasn't been discovered that day. There will be a different start time for playing the BowWow hunt each day. So, don't think that because a new game day has started that you can start picking. Selections will not be accepted unless made after the starting time given. Selections are on a first come, first serve basis. 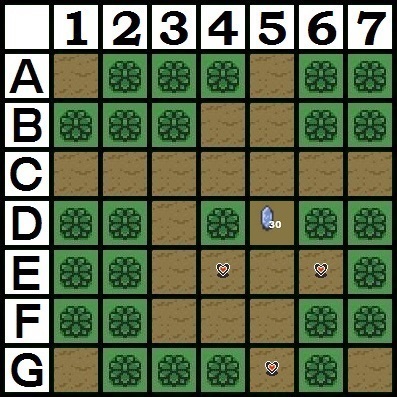 If a player selects A1 and another player selects A1 after them, the first player is the one who will be charged the rupees and receive any reward that may lie there. The second player will not be charged any rupees and is free to select something else. 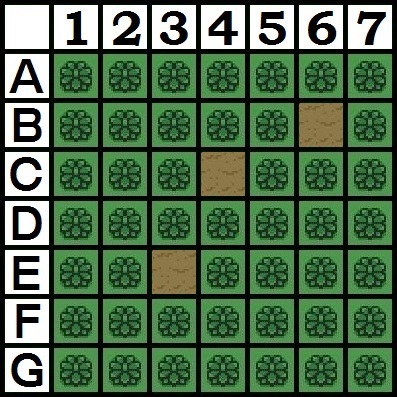 A player can not bid more rupees to select a square if someone else has beaten them to their desired choice and claim it that way. If a player has made 5 selections and 2 hours have gone then they are free to select more spots even if the host hasn't been around to verify what they've chosen yet. For example, let's say that a player made all five choices in one pm at 3:00 AM while the host/Madam MeowMeow is sleeping. When 5 AM rolls around then they could make another 5 selections. If 7 AM comes and the host still isn't here then they can make another 5 selections. When the host shows up at 8 AM then he will apply all those selections at once provided the player has the rupees for them. Even though it would be 15 selections happening at once when this happens, the selections were all made within the required waiting periods needed and so are all valid. You do not have to wait for me to make more selections if 2 hours have passed but you may want to in order to save rupees or see what you initial selections have given you. That's the risk you take if you want to try and dominate the game a bit. 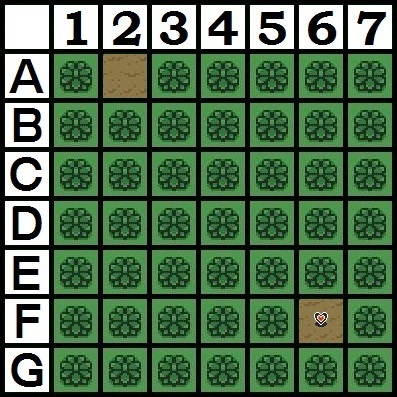 In addition to BowWow, there are also four heart pieces hidden in the grass. Player can collect these heart pieces and will hold on to them for as long as they remain in the game. 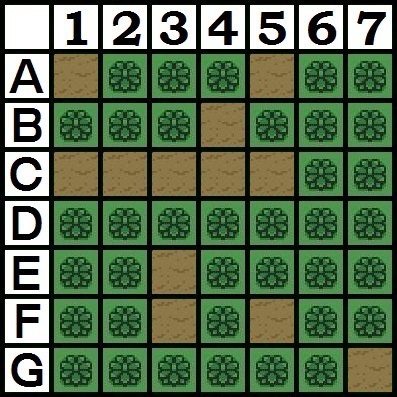 If a player is able to collect four of them at any time, they can cash in their heart pieces to try their luck at opening a treasure chest and claiming their prize. A player could discover a heart piece on Day 3, a heart piece on Day 4 and two of them on Day 6. Upon finding that fourth one on Day 6 they would then be able to claim a prize and their heart piece count drops to 0. They'd have to start collecting to 4 pieces again after that. All current players still alive on Day 3 will start off with 50 rupees each. I will keep track of the rupee totals and at the start of each day will let players know the total they currently have at that time. Rupees do not expire so a player can save them and play the game some other day. A person could wait until Day 6 to start spending their rupees on this game, for example. If a player is eliminated from the game then they can not participate in the BowWow hunt and lose their rupees. How Can Players Gain More Rupees? There are a few ways players can earn rupees. A player gets 10 rupees for every valid vote they make. For instance, if I did the tally of Day 2 and a player had voted Dark Link then that player would get 10 rupees added to their total. If a player voted Khushrenada then they do not get 10 rupees because voting for me is an invalid vote. If a player had a vote but then removed it before the tally they would not get 10 rupees because they do not have an actual or valid vote at the time of the tally. In addition, if the vote a player casts is for the person who is actually eliminated from the vote that day then they will receive 50 extra rupees. Now there's the risk / reward of self preservation from the bomber or trying to get more rupees to play. As well, it may encourage more majority votes because if a majority is reached then you can deny other players the chance to be part of the bandwagon or perhaps even keep them from having time to vote. The deviousness. Players can also find more rupees in the Madam MeowMeow's yard. 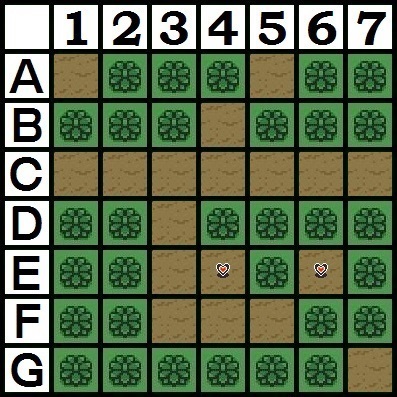 In addition to the hiding BowWow, there is also one each of a 20 rupee gem, 30 rupee gem, 40 rupee gem and 50 rupee gem hidden in the grass. 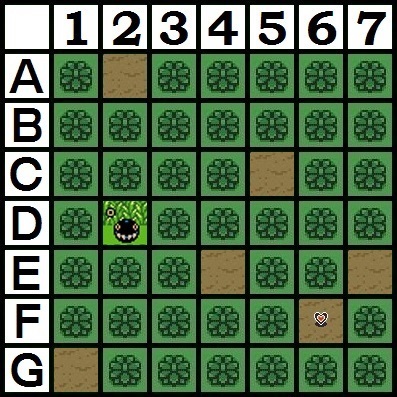 Some of the prizes that can be won by finding BowWow are rupee totals. There may be other contests that occur during a day in which players can win more rupees and perhaps play a different minigame to spend them in. But let's see how this first works out. Grand Prize - The Grand Prize depends on the player who wins it. If the player is a Mafia Member then they are given the Deku Mask which can recruit a player of their choosing into the Mafia. The player that is assigned the Deku Mask loses any item/role they may have had and becomes the fourth Mafia Goon. If it is the Killer then they are given two extra arrows/kills that they can make at any time in the game. If it is the Bomber then that player is given two bombs that they can lob at any players of their choosing to blow them up and out of the game at any time of their choosing without using the Blast Mask to eliminate themselves from the game. If it is Majora's Mask that wins the prize then they are given the Dancing Scarecrow who will cause all the players to dance and a day will be removed from their needed time of victory. So, instead of needing to survive until the Dawn of Day 8, they would just have to survive until the Dawn of Day 7. And if it is a townie that wins the grand prize then they are given the Magic Armor and are immune for the rest of the game. They can not be voted out, hit, blown up or have their vote changed. In fact, their vote will now count as double. However, it will run out of magic if there are four or less players still in the game including the wearer of the magic armor. At that point, they would become vulnerable again. They could also vote out the Bomber and survive thanks to this armor provided they vote while still immune/magically protected. The grand prize could be what leads a player or side to victory. Ocarina of Time - The player with this item can change the time of the game and warp forward. For instance, during a Game Day, if the player with this item decides to use it then the Game Day ends as soon as it is activated. 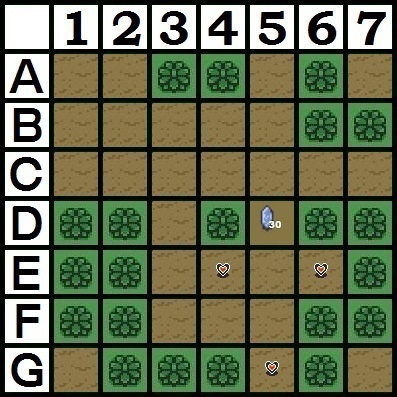 If other votes or actions are taken after the player uses the Ocarina they will not count. The vote is immediately tallied and the loser eliminated. No night actions occur and the next Game Day will begin. Potentially, this player could cast a vote as soon as a day begins and then use the Ocarina to end the day and eliminate that player and warp us all to the next day. Conversely, the Ocarina can also be used at night. If the killer or mafia use the Ocarina at night, they can make a hit and keep anyone else from taking any actions. We would then skip the next Game Day with no vote and immediately move to the next night action period where all players with relevant roles can send in their actions. In the case of the bomber, they could actually choose to blow up two players at night and then use the Ocarina to warp forward to the next night and select two other players to be blown up with them before the Blast Mask fully explodes taking them out. For Majora's Mask, there is no extra ability gained by using the Ocarina but it does get them a day closer to their goal which is something all players have to remember when using the item. Mirror Shield - The Mirror Shield is a bit like the Hylian Shield but with an odd twist of reflecting actions back. It is a one-time use item. A player can choose to protect themselves or someone else of their choosing with it. If a player uses the shield but they are not targeted, the shield is still used up and they do not get to keep using it until an action is taken against them. Any action made on a player protected by the mirror shield will rebound back to the player taking the action. So, if the mafia or killer puts a hit on the player then that hit will rebound and take them out. If the bomber attempts to blow them up, the Mirror Shield player can deflect the bomb tossed their way to any other player of their choice. Some strange stuff happens with townie powers. If the Detective/Lens of Truth investigates the player with the mirror shield then the investigation becomes reversed and the mirror shield player will end up investigating the detective and learn of their ability. With the Doctor/Hylian Shield, if that player selects the player with Mirror Shield to be protected, the protection will rebound back to the Doctor themselves and the Doctor would be protected instead. This rebound would also not count as one of the two self-protections the doctor is allowed. If the Spirit Flute targets the mirror shield then the mirror shield player can actually change the Spirit Flute player's vote (although they won't know the identity of the Spirit Flute player) and would have the ability to break a tie if one exists at the end of the day. There is nothing the Mirror Shield can do against Majora's Mask if the Moon falls. The player with this item must inform the host within the first hour of a Game Day if they are going to use the item in order to account for any actions that may occur towards the player protected with it for the day. There is no limit to the amount of actions the Mirror Shield can reflect in a day. All of these rebounds could potentially occur in one day. Fairy - Revives a player if they've been eliminated from the game. Had a hit placed on you be the killer, mafia or bomber? You've just survived. Had an action rebound and eliminate you? You just survived. Voted out at the end of the day? You just survived. The fairy is only good for one save, however, so if a player was targeted by the Mafia and the bomber in one night, they would survive the first attack but not the second as an example. Gale Boomerang - The boomerang stuns a player. This means that any vote they cast that day will not count (unless the player with the Spirit Flute uses the stunned player's vote with the power of the Spirit Flute) and any ability they may have is disabled for the day. So, Godfather is unable to put in a hit, Hylian Shield is unable to make a protection, etc. If it the Majora's Mask player is hit with the boomerang then it means they have to wait an extra day before the moon will fall and crush everyone. If the bomber is hit with the boomerang during the day and voted out then the player who voted for the bomber will not be blown up because the bomber will be too stunned to activate their Blast Mask. Dominion Rod - This allows a player to take over the account of another player in the game for one day. They tell me the name of the player they want to control and I will change the password for the account and give the new password to the player with the Dominion Rod. Any messages that the player has will be removed first to hide any potential role they may have but if players send new messages to the account under the Dominion Rod's control, the player in control of the account can read and reply to them anyway they want. There will be no announcement either if a player is under the Dominon Rod's control until the next day when the rod's power has worn off and the player is allowed back into their account. Hookshot - This allows you to steal all the rupees from two players of your choice. Red Potion - This potion reveals the identity of two players of your choice. Blue Potion - This potion gives you two extra votes in a Game Day Vote. Green Potion - The green potion makes you immune to any votes cast at you for a game day of your choosing. For example, it you win this potion on Day 4 but are losing the vote on Day 6 then just post that you are drinking this potion and magically any votes cast for you that day will not count and you can not be voted out. There is only enough potion for one day. 150 Rupees - 150 rupees are added to your total. 50 Rupees - 50 rupees are added your rupee total. Empty Bottle - Unfortunately, the empty bottle won't help anyone out with the Mafia Game itself. However, if you do end up with this then it gives you first crack at the prizes available at the end of the game whether you actually win the Mafia game or not. Miiverse Stamp - Miiverse is dead. This item is useless. 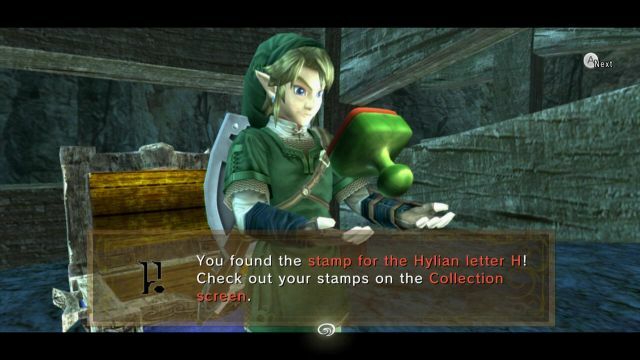 Link's Wallet - The player who finds this prize will select another player and both will lose all the rupees they have as they go into Link's Wallet. Thanks, guys! Iron Boots - Iron boots will slow this player down for the next day. Any votes cast will be too slow to count when the tally comes around and any action/role they have will be too slow to be received in time to count. However, none of the other players will know you have the iron boots unless you decide to tell them. How to Claim a Prize? All the various prizes are each hidden in their own treasure chest. Those treasure chests are all identical and have been mixed around. Finally, a number from 1 - 17 has been assigned to each chest. A player who has won the BowWow hunt or has collected four heart pieces will make a selection from 1 - 17 in a pm to me and then will be awarded the contents of that chest, whatever it may be. Once a chest has been selected, it remains open and empty and a player can not select it again to get the same prize. If a player can successfully identify the true forum identity behind 13 (or more) of the 18 player accounts for this game and submits that list to Madam MeowMeow then they will be able to magically hone in on the prize they wish to claim if they win the BowWow hunt or collect four heart pieces. Players can earn this "dowsing" ability at any time even if they haven't won the hunt yet. However, you are only allowed three submissions / tries to Madam MeowMeow per game day. Madam MeowMeow will review your list and let you know the percentage you have right on from the list like 39%, 67% 94% or whatever the total may be. It's up to you to figure out what you have right and what you have wrong. "SMOOOOOOOCH! You got a reward from Madam MeowMeow... ... ... L-l-lucky!" Re: Mafia LXXV The Legend of Zelda: The Mafia Maracas. Madam MeowMeow's BowWow Hunt. Oh what an adorable doggie BowWow is. I would love to find them and play with them in an island paradise. Hold your horses. No one will be hunting for BowWow until another couple hours. BowWow has now been set as a Dowsing Target. vote madame MeowMeow for being an irresponsible pet owner. Alright. Let's get this piece of the puzzle into action. I'm going to allow BowWow hunt selections starting at 10:30 PM EST / 7:30 PM PST. Selections will carry on until the start of Day 4. One slight change to the rules already. I've decided that instead of posting selections in this thread, players should PM their selection to Madam MeowMeow. I remember that in the New Leaf Mafia game some players were targeted upon winning one of the contest prizes that day so to avoid the winners of this game being targeted each day, it would be best to keep the selections and winners a bit secret. Madam MeowMeow will keep updating this thread though as to what choices are still available and what's been taken and if any prizes have been found in the hunt to let players know what is going on and decide if they want to select anything or wait another day. Do not pm Link Link. Any selections made to Link Link will not count. Only send the selections to Madam MeowMeow. I realize this means that there is the potential for more duplicate choices being made by not knowing what other players are selecting. But Madam MeowMeow will let any players know if they've been beaten to a choice in a reply pm and give them a chance to choose something else. Any duplicate choice made will not count and the player will not have to wait two hours to make a replacement pick in that instance. Everyone really does have 50 rupees now. However, some may have a bit more based on the past two days actions. I just need to go over those and will inform any players affected by them as to the amount of extra rupees they have gained in addition to the base 50 everyone else is starting with. Alright. The update totals have been figured out and the players that received extra rupees due to their past actions have now been informed. Some people say, Link Link, what are you doing? You've basically fulfilled your obligation as host. You just need to finish posting the Day 2 and Day 3 story and your pretty much set for putting forth a Triple A Mafia hosting job. Sure, you may want to update eliminated players with a dead avatar of some kind but that's really about it. Just keep steady now with what you are doing. Why create extra games and work with more pictures now needed and rupee totals to keep track of? I tell those, people, you're right. What was I thinking? This was very stupid of me. Darn, my hosting ambitions pushing me to keep trying to do more in a game. They're going to be the death of me yet. Awww my lovely Link Link always trying to make this quest much more enjoyable for everyone and keeping denizen excite for the quest. By the by Link Link I love the story so far!! Oh, my-my-my! So many people showing up to play with my little BowWow! That's so sweet! My precious little darling just loves the company! Unfortunately, nobody has found my little BowWow yet or any other treasure of any kind. Still lots of places to search yet. Where could my clever doggie be hiding? A few more selections have been made but still nothing has been found yet. 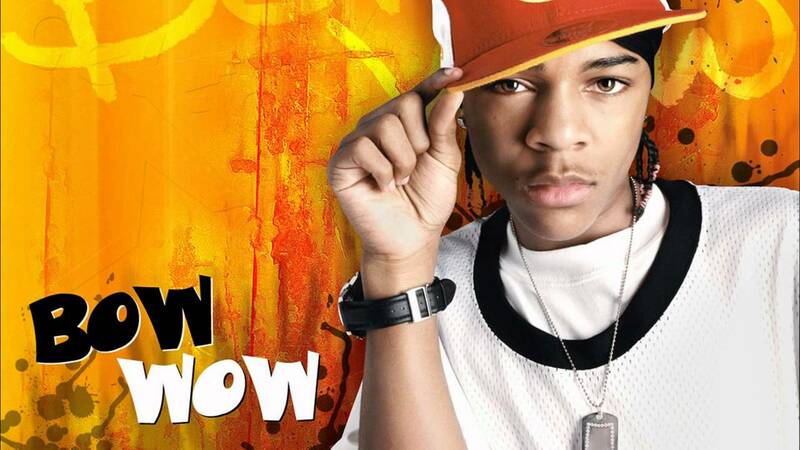 Poor BowWow. I hope he doesn't start to get scared that no will find him. Another update on the BowWow Hunt. No one has found BowWow yet but a couple heart pieces have been uncovered. Finally, some interesting developments in the game. Please note that I am going into the forest now to hunt for some truffles to make my BowWow a nice Truffle Soup for when he gets tired of playing. Therefore, I'm probably not going to be around for some time to update the map but I will do so as soon as I can. Hmmmmm. Only one guess while I was out fighting bokoblins and chuchus to an inch of my life while collecting truffles in the woods. Well, here's the latest update. 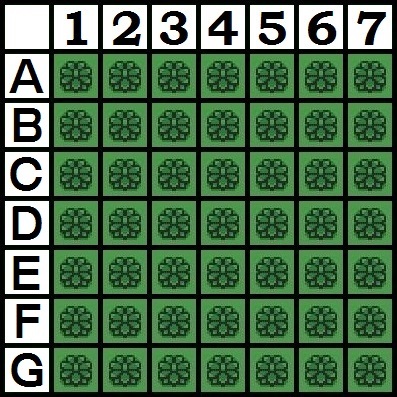 There are 30 squares left to choose from. We've had a couple more discoveries made but no BowWow yet. I see there's been some more action in the BowWow search. But unfortunately, no one has been able to discover anything with in these latest searches. How sad. Yoo-hoo! Time to come in for din-din, Bowey-Wowey! Oh, that's where you were hiding! What a clever doggie you are! Well, hopefully your new friends stop by tomorrow to play with you again. The BowWow Hunt is currently closed. Attention dearies! My little BowWow is ready to play with you all again. He's jumped into the tall grass in my backyard again. I think he might be starting to get a bit of an ego growing since he was able to thwart everyone looking for him yesterday. I hope that doesn't become a problem. It would probably be a good idea if someone were to find him today. Well, we've had one brave person try to find BowWow. Although they didn't find him, they did find a heart piece. How nice! What's this?! Oh my! One of you has found my little BowWow already! Well, now you get a reward from Madam MeowMeow. You can choose one of the treasure chests in my prize basement. 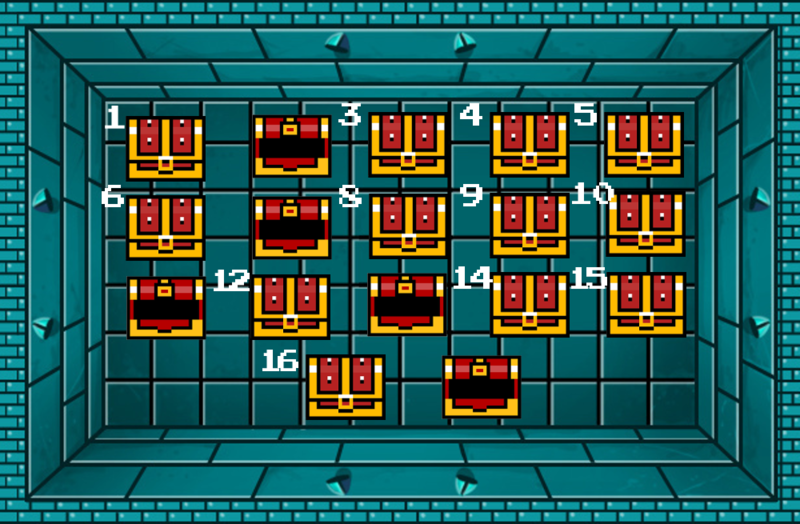 Just select a number from 1 -17 and you'll get whatever is in that chest. As for the rest of you, there are still some heart pieces and rupees to be found in the grass if you are interested. You're welcome to keep whatever you may find. .... A Miiverse Stamp. Hmmmm. Well, that's probably not as exciting as they thought it would be. Madam MeowMeow's is closed again. Check back on Day 5 for another BowWow Hunt. Heads up. Madam MeowMeow's BowWow Hunt opens in about 35 minutes to run until the end of Day 5. Hello dearies and welcome to Day 5! My sweetums is already hiding in the yard for you. However, his sister was starting to feel upset about being left out so I've let her hide with her brother as well. If you find Bow BowWow then you will trigger a different type of game that the players can get involved in. How exciting. My pets sure do love to provide fun and excitement for everyone. Best of luck trying to find them! Bit of a slow day. Guess people are too busy going on dates and sidequests in Hyrule to play with my little dearies. But there's been a little bit of activity. Nothing of significance though.